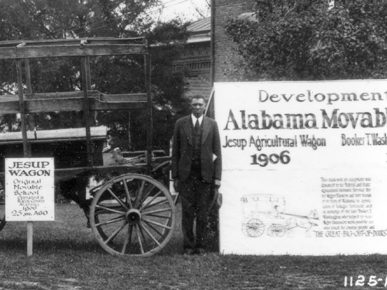 The Tuskegee Institute's Movable School of Agriculture was run by educator Thomas M. Campbell during the early twentieth century. Campbell travelled the Alabama countryside educating farmers on modern agricultural practices. The school was also known as the Jesup Agricultural Wagon.